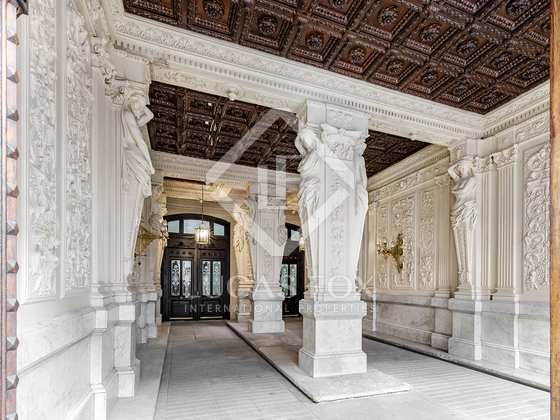 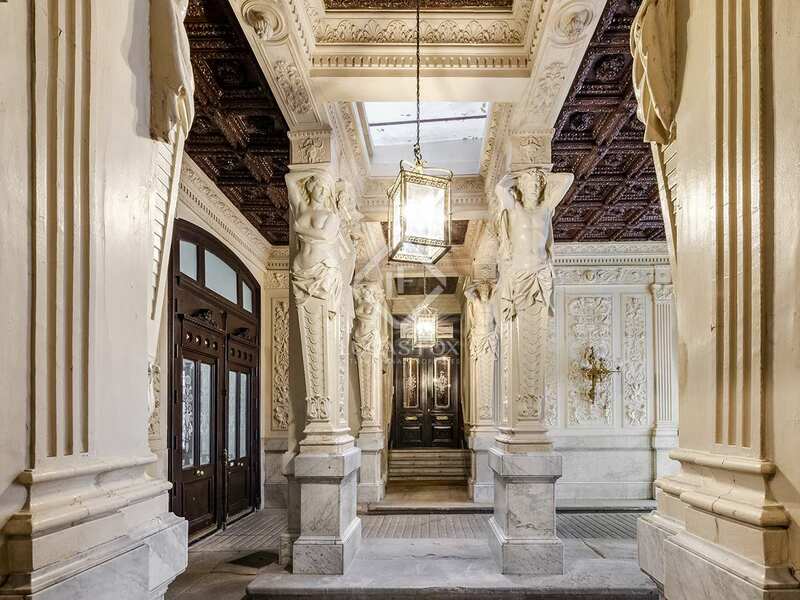 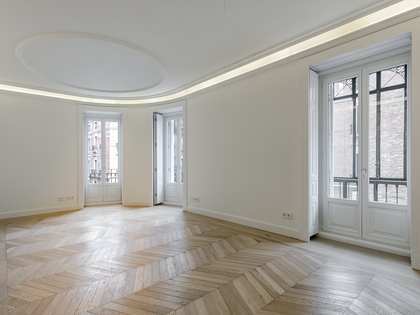 Property located on the top floor of an important building with a lift and a stately entrance of cultural significance. 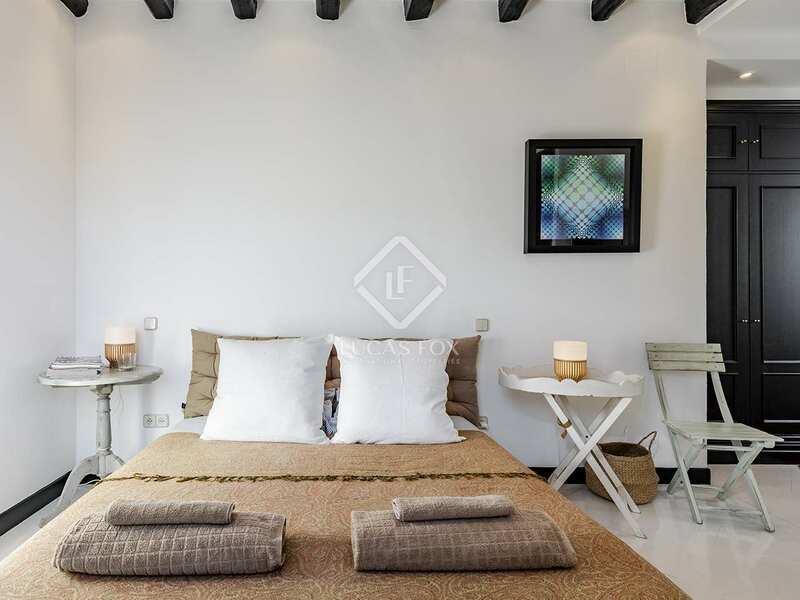 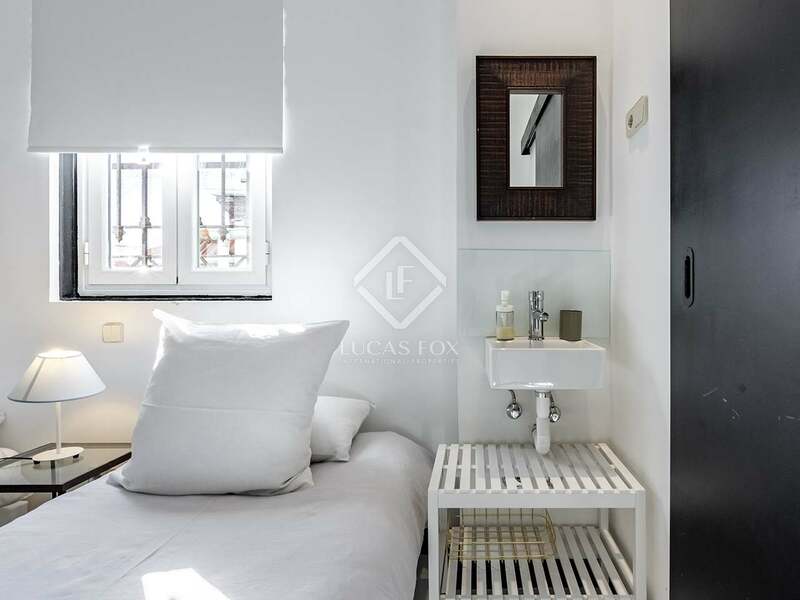 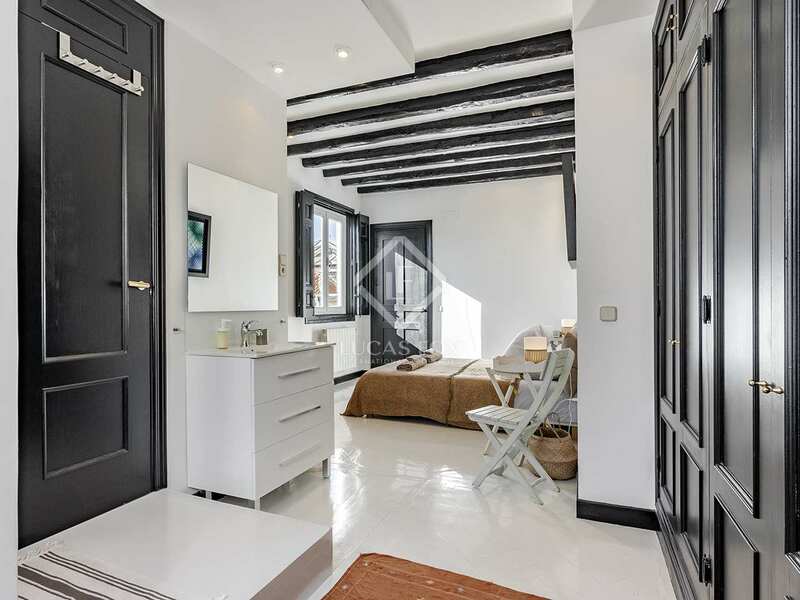 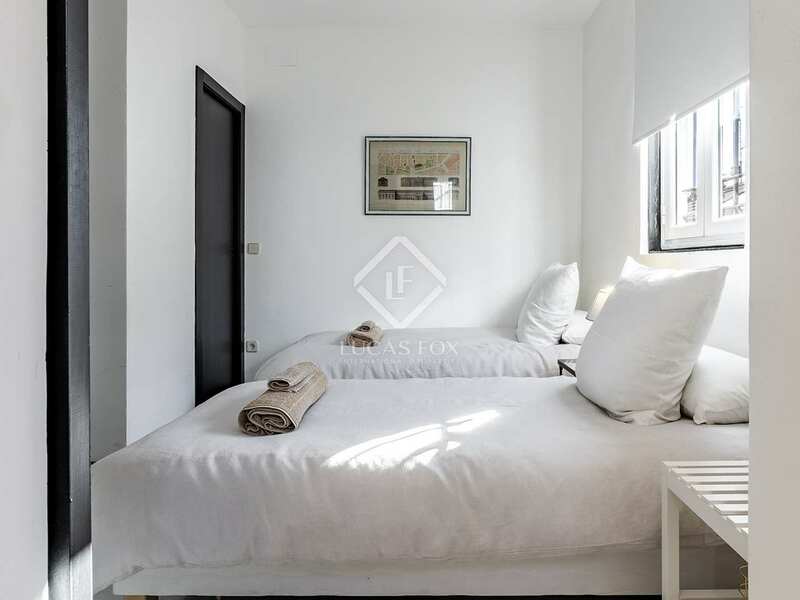 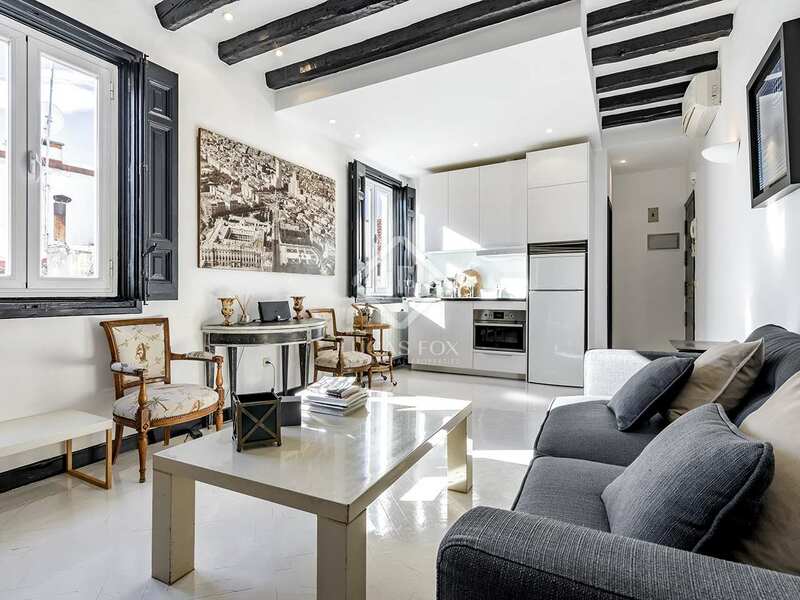 It is a fully furnished loft apartment with high ceilings with wooden beams and it also has air conditioning. 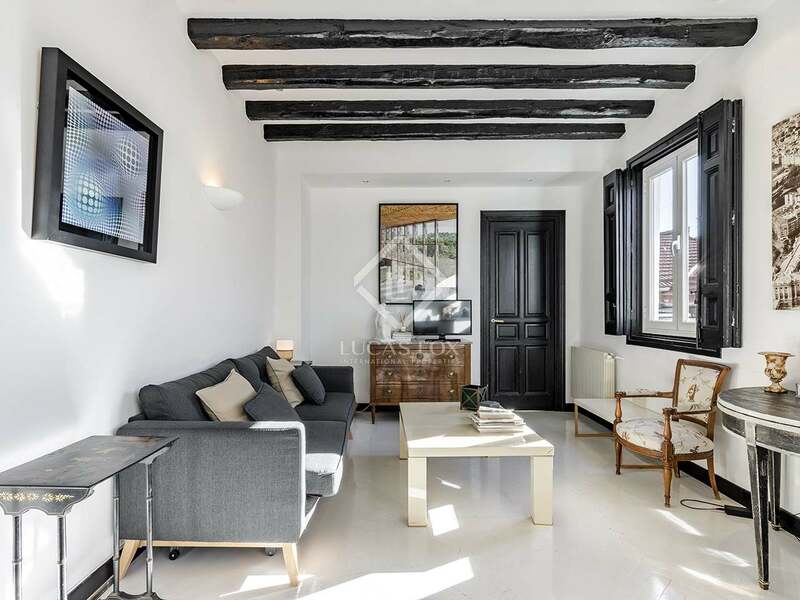 It has a communal terrace that gives access to the property. 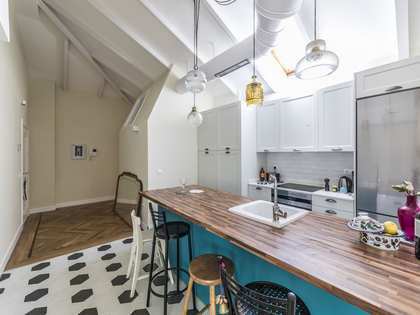 We enter via a living room with an open kitchen. On the right we find a bedroom with 2 single beds and a bathroom. 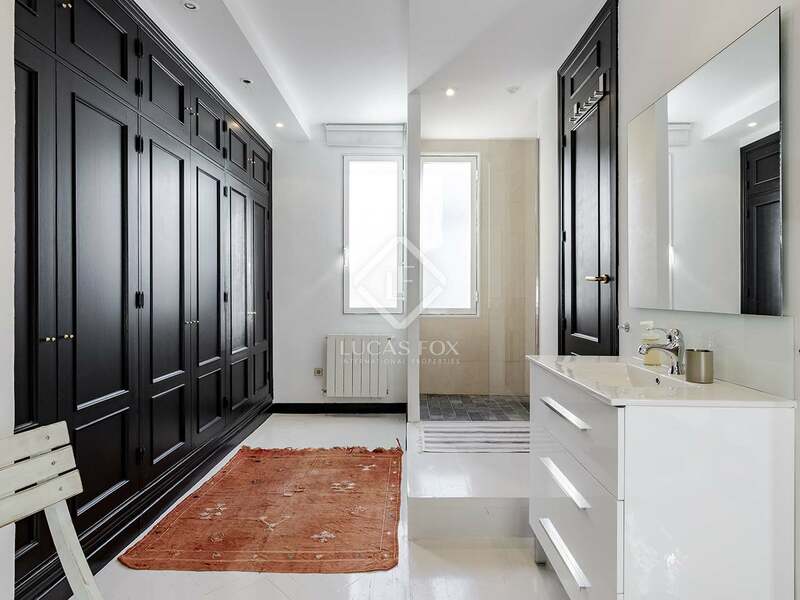 To the rear is the large master bedroom with fitted wardrobes and a private bathroom. 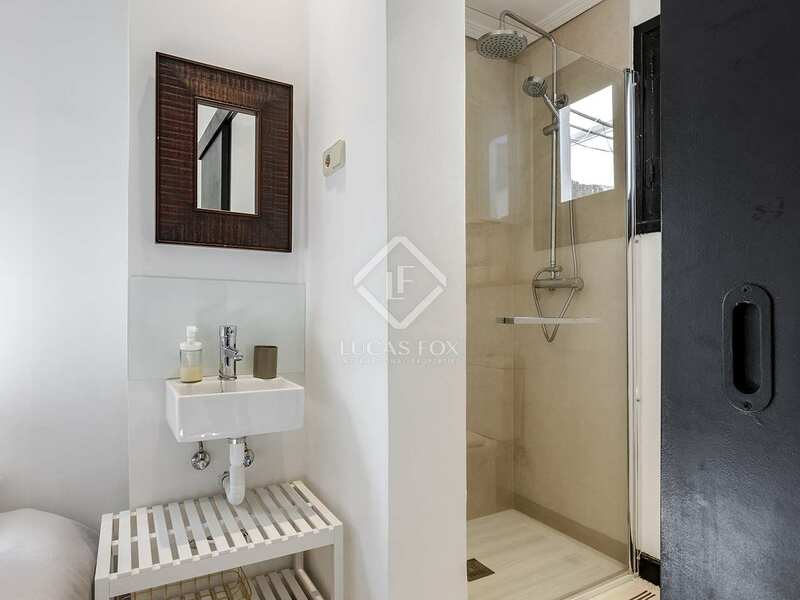 Contact us to arrange a visit to this property in an iconic building in Justicia. 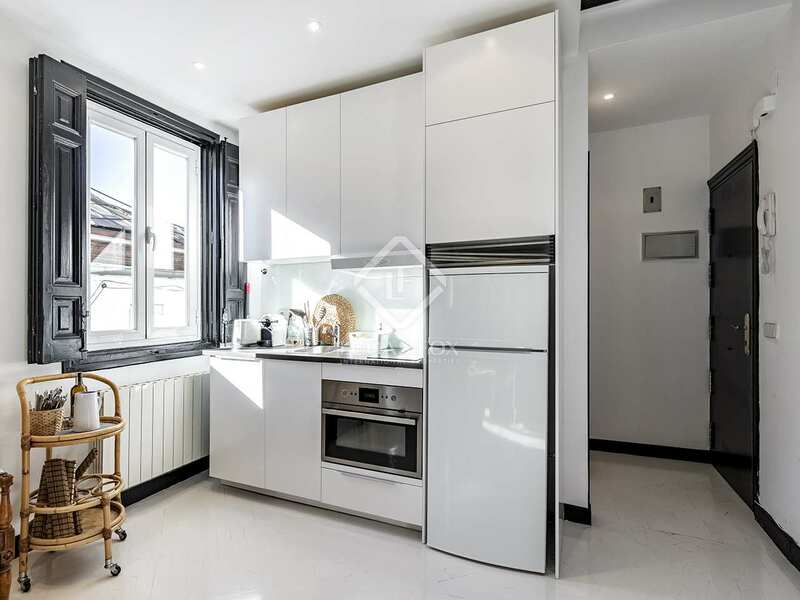 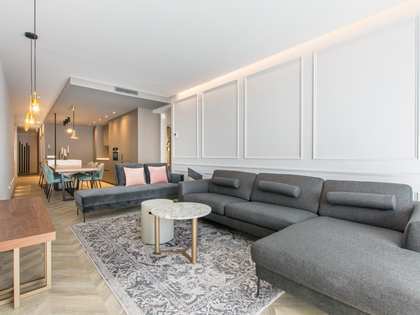 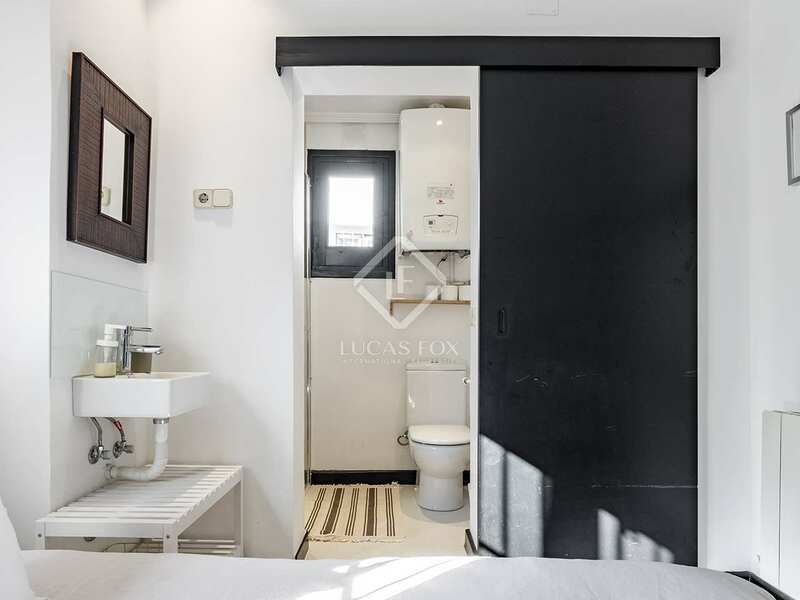 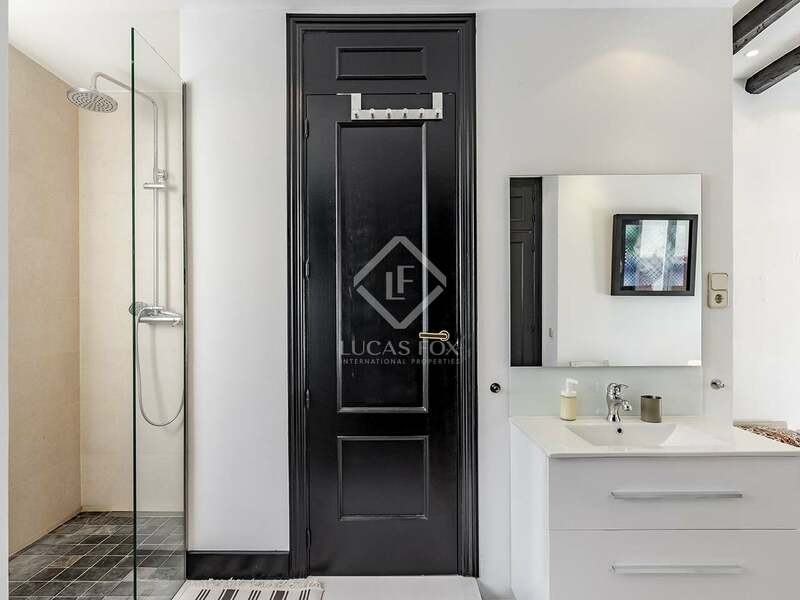 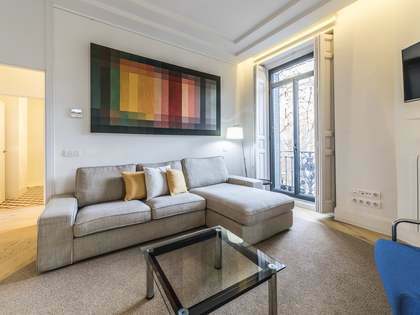 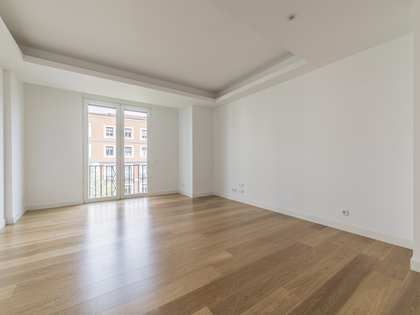 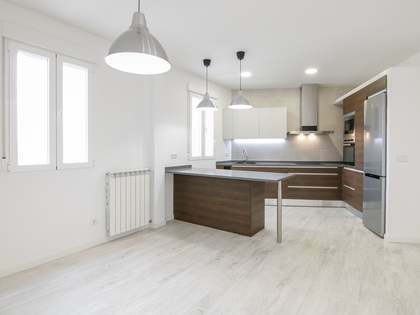 It is located in a strategic point between the neighbourhoods of Almagro, Justicia and Salamanca, so it enjoys access to the areas of greatest interest and good access to and from the city. 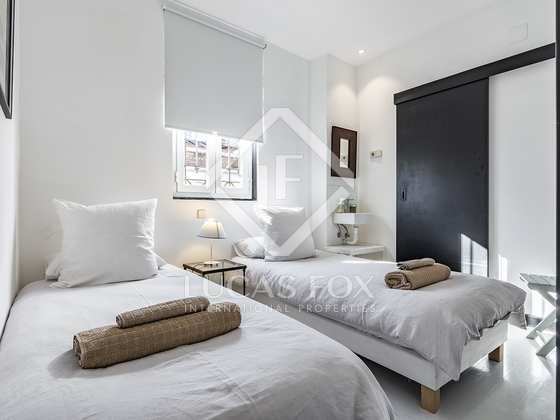 In the vicinity we can find the metro stops of Colón, Alonso Martínez and Chueca, as well as several bus stops.